Found this blog helpful? Please donate..
A controlled experiment: All the possible errors you can get while configuring BCS. 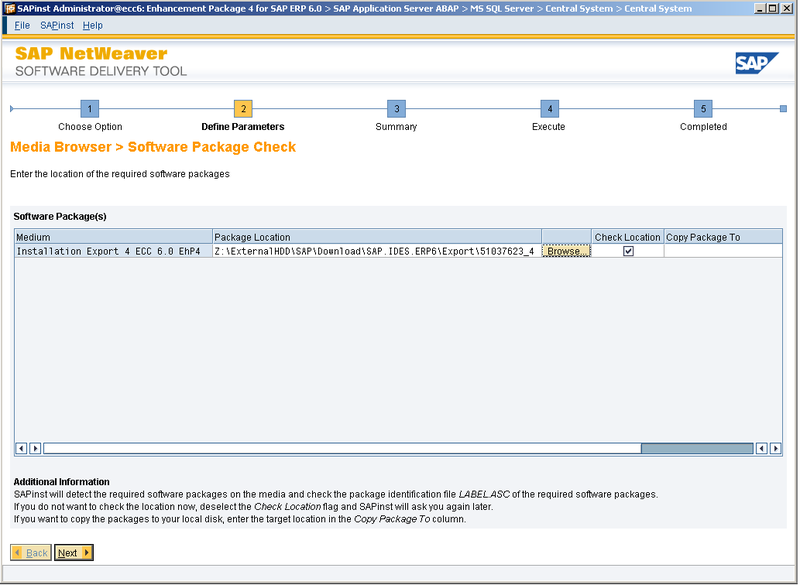 Java SDK versions provided in above link are specific builds for SAP customers. For my installation, I used following version. Also, you should download Java Cryptography Extension 1.4.2 since SAP Installer will ask for it during installation. 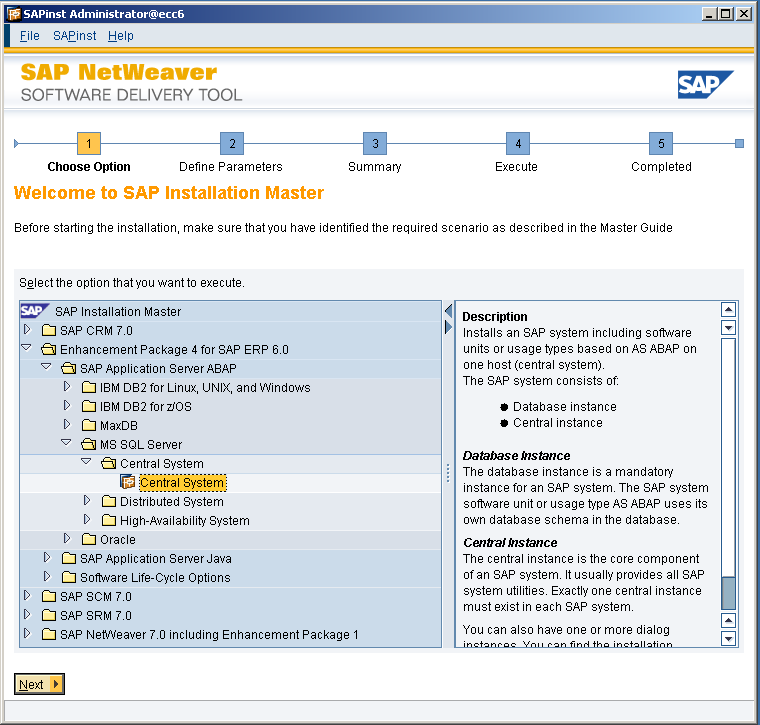 If you have downloaded all necessary installation media as described in part 1(https://zieglers.wordpress.com/2009/11/10/sap-ides-erp-6-0-ehp4-netweaver-7-01-installation-guide/) and prepared your installation guest machine as described above, now we can start installing SAP IDES ERP 6.0. 1. Your machine name CAN NOT be more than 13 characters. Otherwise you’ll get an error during installation during prerequisite check. As for this demo, i renamed my machine to ECC6. 2. Increase your virtual memory. Make it at least 20480 MB. Otherwise you’ll get a warning during installation prerequisite check. If you wish, you can continue installation like that, however it’s highly recommended that you increase your min virtual memory. This will increase both installation and SAP runtime performance. 3. Make sure you install correct version of JDK (link given above). If not, you may get some java runtime related errors during installation. 4. Although in this demo, i install using an external drive, if you have a chance, copy installation media to your hard drive and start installing SAP from your hard drive. (i’d suggest using min 7200rpm drive!!!) It’s better to keep installation media and installation path (where you install your SAP instance) on different partitions. Also, make sure that you have enough space on your drive for this installation. Just to give you an idea, once installation is complete, just the size of database files will be 160GB! Before starting, it’s always a good practice to organize installation media in logical folders so that it’s easier to find once sap installer asks for them. Since we are installing on a 64bit windows environment, we need to start the installer for that one specifically. Go to installer folder > 51037622 > IM_WINDOWS_X86_64 > sapinst.exe. Select EhP4 for ERP 6.0 > MS SQL Server > Central System installation option, as seen below. Provide System ID. For this demo, it’ll be ECC. Then, enter master password for your system. 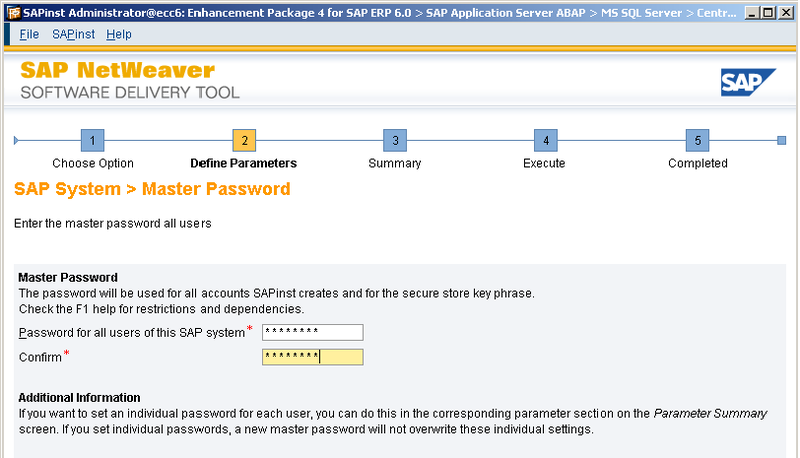 This password will be used for all SAP accounts created during installation. You’ll also use this password after installation to log in with DDIC and SAP* users. Provide export package paths. Installer will ask you in the order of 1, 4, 2, 3. 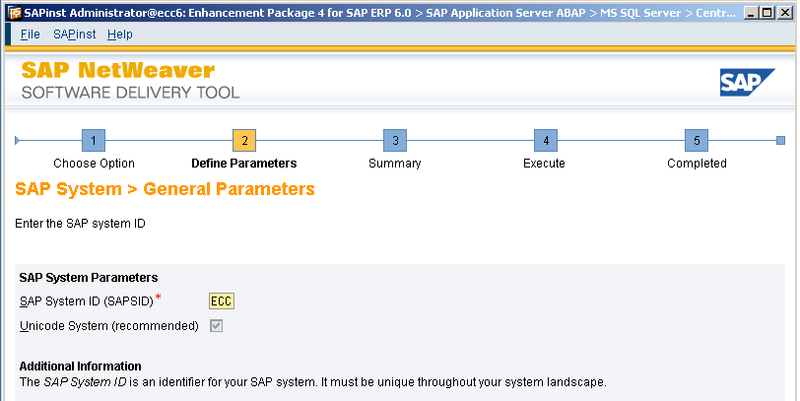 Once you are done with entering all necessary parameters, parameter summary will be displayed. Here if you want you can make some changes. Here i strongly recommend increasing number of database abap import jobs. By default it’s 3. For this demo, i chose 10 import jobs to be executed in parallel. Once you are done revising input parameters, you can click next.. At this point installer has got all required input from you.. Installer will start executing 23 phases. Longest phase will definitely be ‘Import ABAP‘ phase. Depending on your machine, this phase can take from hours to couple of days. 🙂 Be patient!!! Make sure you turn off Windows Automatic Updates. Last thing you wanna see is to wake up in the morning, run to your machine and see it`s been restarted by Automatic Updates! If everything goes ok, once installation is complete, you`ll see a screen as follows. Let me know if you have any questions.. Hope this post helps some folks out there.. This entry was posted on November 12, 2009 at 12:03 pm	and is filed under IT Stuff, SAP. Tagged: ECC, ECC 6.0, EHP4, ERP, IDES, Installation, NetWeaver, SAP, sap solution manager, solution manager key. You can follow any responses to this entry through the RSS 2.0 feed. You can leave a response, or trackback from your own site. Are you planning on finishing this post? Since I’ve been banging my head against an SAP brick wall all day I would be very interested to see this article to its conclusion. Yes. I’m planning to finish this post. I’m waiting for a more powerful hardware to get prepared for my installation. Once the hardware is ready, I’ll post all installation details with screenshots. I had the same issue. The SAP installation is now only supported on 64-bit and when you run it on 32-bit SAPInst doesn’t tell you, it simply only shows you the valid 32-bit options. Thanks for nothing. All your other hardware specs look good. Once I switched to a 64-bit version of Windows Server 2003 everything installed without issue. I am reading your article before I start the installation. You mentioned that a unique key is required from Solution Manager. 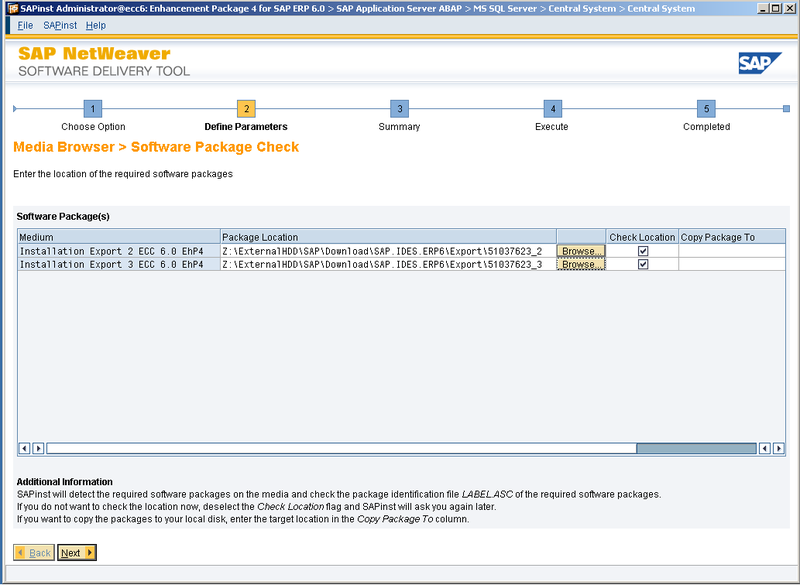 Do I need a SOLMAN system in order to be able to complete this install? You also mention using the same names you use – can you send these on to me. I gather this is all related to licencing of the product – once IDES is installed, how long is it valid for? 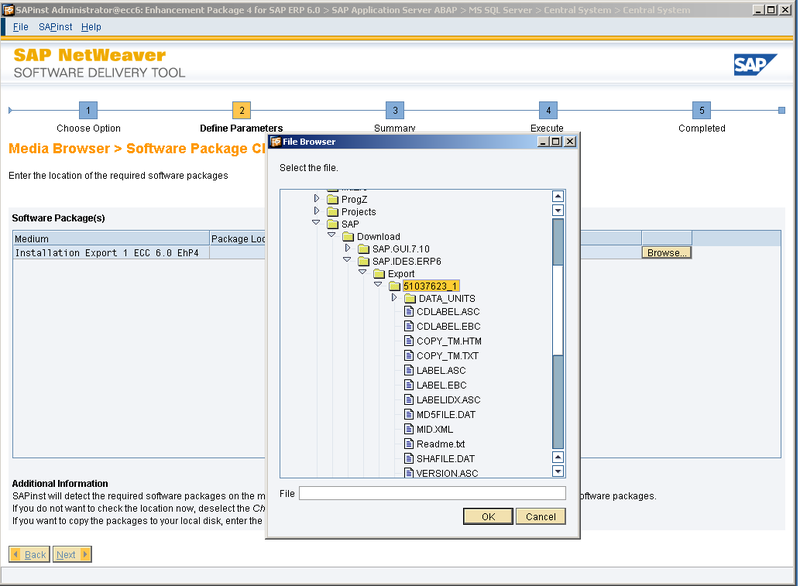 Once, you start installation and installer asks you for SolMan key, email me with a screenshot and i’ll send you the key. IDES installation is valid for a month. If you will use it for learning or POC purposes, it should be enough. You can write it here, so I can write? Thanks for your response. How would you obtain a license key if I wasn’t able to email you with a screenshot? The main reason I ask is that I also want to setup a CRM IDES system and presumably I will require a key for this as well (which you may or may not have). 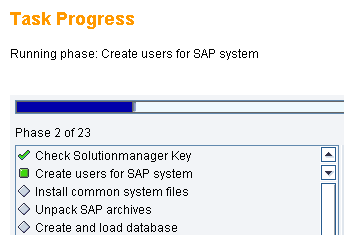 Also, re the 30 day license – at what point does the 30 day license start (ie when you first login to SAP, date of installation, something else)? I may want to use IDES for a POC a couple of times a year and I don’t want to have to an entire new installation each time if I can avoind it. If I could take a snapshot in VMWare before the license is activated, it would save me some time the next time I want to use it beyond the 30 days. Did you ever get a response from Mr. Zieglers about going beyond 30 days? My effort is to learn SAP and, possible, install BW and learn how BW works. The installation instructions are fantastic. They are very self explanatory and thorough. I was able to install the IDES without any problem. Thanks a bunch. As long as you follow same instructions in the blog and keep all host, client and instance names same, key will work. For this i need u to send me a screenshot showing that you came to that point in the installation process – the screen requesting sol man key. Otherwise, i’m afraid i can not provide you any keys. My aim is to help people who wants to create a temp ECC system for education or training purposes. Please don’t email me requesting SolMan keys for other installations. I sent the screenshot where it asks for the Sol Man key in my 2nd email. I am following the same instructions in the blog with hostname, client, instance name, and etc. Your assistance is GREATLY appreciated. Please send it one more time. It was in wrong format. I lost much time at the beginning as I installed it on Vista Business 32 bit as host and Windows Server 2003 64 bit as guest in a Vmware Workstation program . There were a lot message errors gennerated during and at the end .. I reconfigured my desktop computer with dual boot Vista Business 32 bit with this time Windows Server 2003 x64 bit + ( 4GB RAM )and it installed very smoothly .It took +- 6 hours to install completely . Too bad I have found it after I wasted one week trying to install it by my self. Anyway, I have installed it on a 64 Bit Operational System, and an I5 Processor.. also 6Gb RAM. It is working fine. My doubt is, do you know if it works fine on a 4GB System / Core 2 Duo ? Yes, it works with Core 2 Duo / 4GB ram. I think i even tried with 3GB ram and it was working fine. I will try install tonight on a 4GB / Core 2 Duo. If I have any troubles (on system performance), I will let you know. Any advise on how to bypass the License Key for SAP Oracle installation? Can you please provide me with your email ID to send you details for SOL MAN keys ? I sent you an email for IDES installation help. Can you please provide me SOL MAN keys. I write here in bold so everyone knows, I DO NOT generate solman keys. As long as you follow my article and keep host&client names as shown AND you send me your screen shot, then that’s the only way I can help. 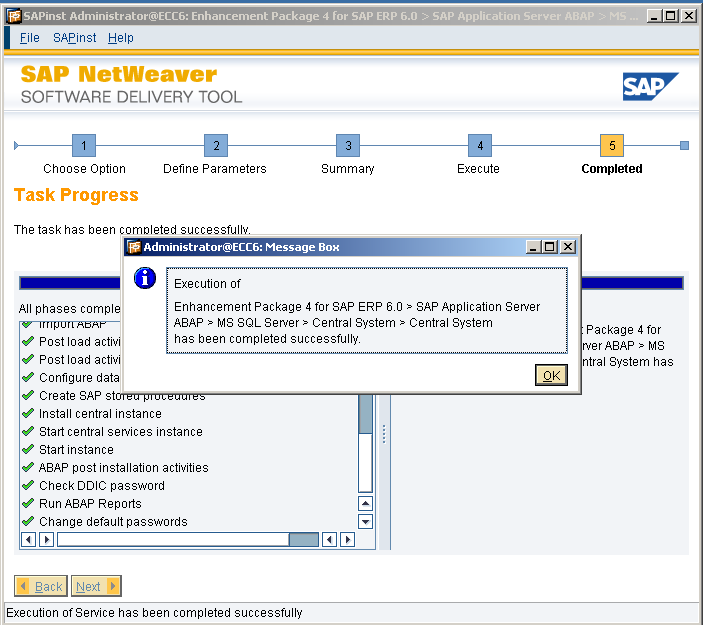 I have installed SAP ECC6 with BI7 system on Windows Server 2003 on x64. 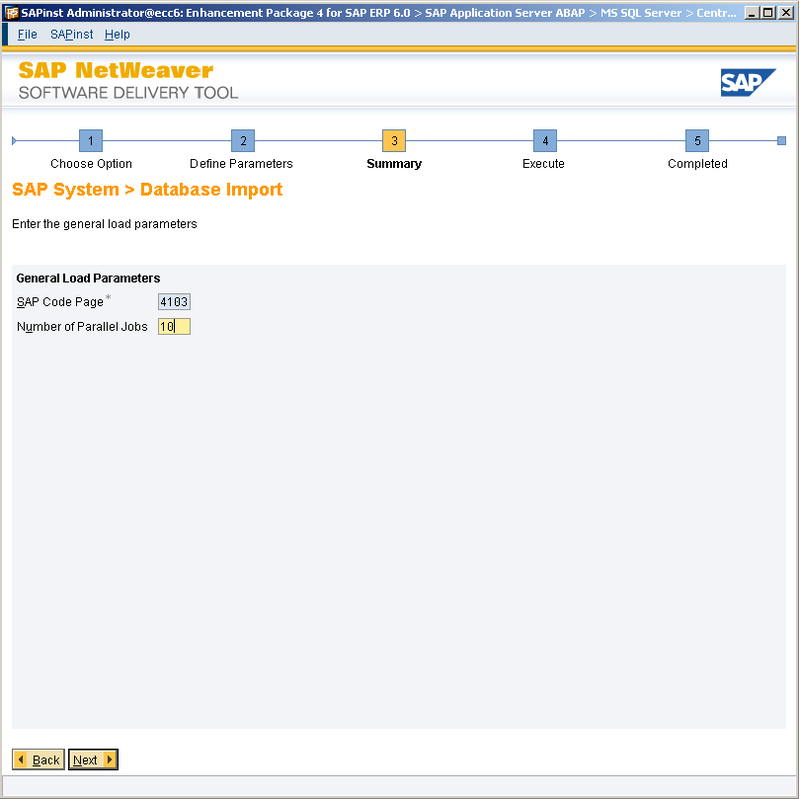 But I am not able to get data from SAP BW in Crystal Report 2008. I know it is an issue of missing LIBRFC32.DLL file which should be in ..\windows\system32\ folder. I couldn’t find any where this specific file for Windows Server x64 64bit version. It is available on Sap Market place, since I don’t have super user privilege, I can’t download it. I have already LIBRFC32.dll but it support only 32bit OS. If you have or could download it for me, please send it to me. Do you have an idea? I run it on an I7 with 8GB WS2003 x64, Oracle 10.2.0.2, Java SDK 1_4_2_17 and VMware with 250GB size. Do I have to expand the VM or is it a different problem? Thx for your help in advance, I’m trying hard now for one week! I have AMD Atholon 3600 +, M2N-E Motherboard, 2 GB RAM..
hi, thanks a lot for this tutorial, i am getting a problem in installation master, when expanding ‘enhancement package 4 for SAP ERP6’ i only get the option ‘software life cycle options’ so only dialog instance is available. what to do. system specs: windows 2003 enterprise sp2 r2 32bit, oragle 10g, java 1.4.x SDK, dual core processor 32bit, 4GB RAM, 320GB HDD. i have got all the files required for the installation right. please help me out. thaks in advance. I found the answer to my problem myself, but i forgot to post it. from SR3 SAP stopped support for 32-bit systems, so SAP SR3 only works for 64-bit systems. If u have installation master files of SR2(version before SR3) which supports 32-bit, you can use the exports from this SR3 software and start installation(found this solution on SAP SDN, but haven’t tried myself yet coz not able to find SR2 files). 3) Installing ECC4.7, I have gone with this third option, just working fine for ABAP but the problem is only tables are present no data in them. while i tried to install with sql server 2008 r2, it gives me warning message about this version of sql server did not supported, select ok to continue, and failed all task of an import ABAP phase. i am now stucked… is any one have idea. I did install the SAP IDES by the above mentioned procedure, but there is no master data in client 800 in the database tables like MARA, MARC, MARD, LFA1, KNA1, etc…. Please help me. How do I start the portal in this setup? could you please send me a solution manager key (1st step of installation)? but you can send me your solman key – i will rename my machine. Can anybody tell me how to install the SRM 7.0 NW 7. Please if anybody provide me the installation guide, that could be great. 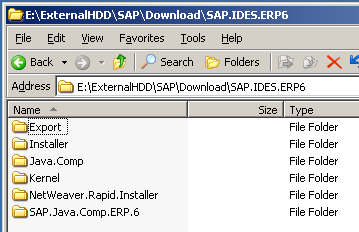 I have successfully installed SAP IDES ECC 6 on Window Server 2008 Enterprise edition after so much struggle. The process took around 18 hours for 64 bit system having 4GB ram and 500 GB hard disk. 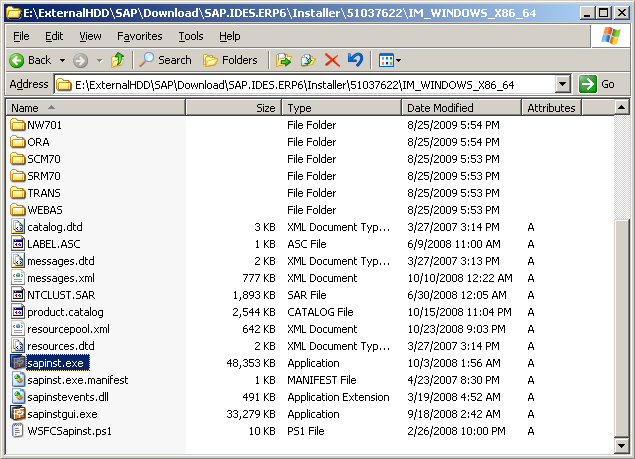 Any one can tell me how install sap BI IDES version? hello, i have macbook pro 4gb ram, intel i7, 500gb hd. 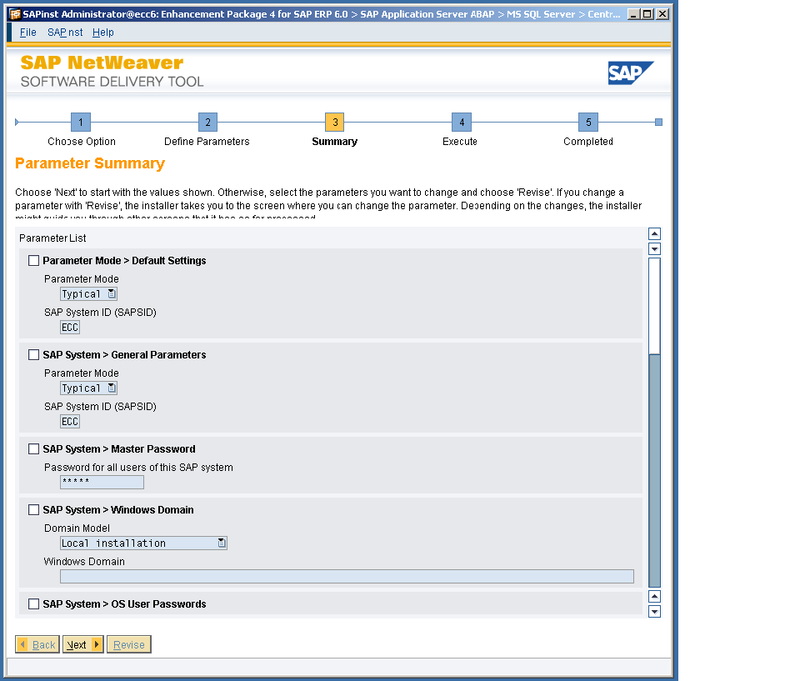 I want to install sap demo server for self practise but don’t know how to. I have already installed sap gui7.2 on it..as i used to access real time server but i lost access to it as it worth lot of money per month. So i decided to have sap mm demo server to practise. I have gone to some man for installation of it but he knows only to install on windows OS, he doesn’t know about how to install on MAC OS. Can you please help me with step by step process. my email is (tyagii.karun@gmail.com). Any one may wants to get VMware VM of latest IDES SAP system. Go through the following page for more details about latest IDES software VM. thank you so much , that was amazin guide ! Hi, I installed SAP IDES 6.0 on CoreDuo2 System with 4 GB RAM, Win 2008 Server and MS SQL. 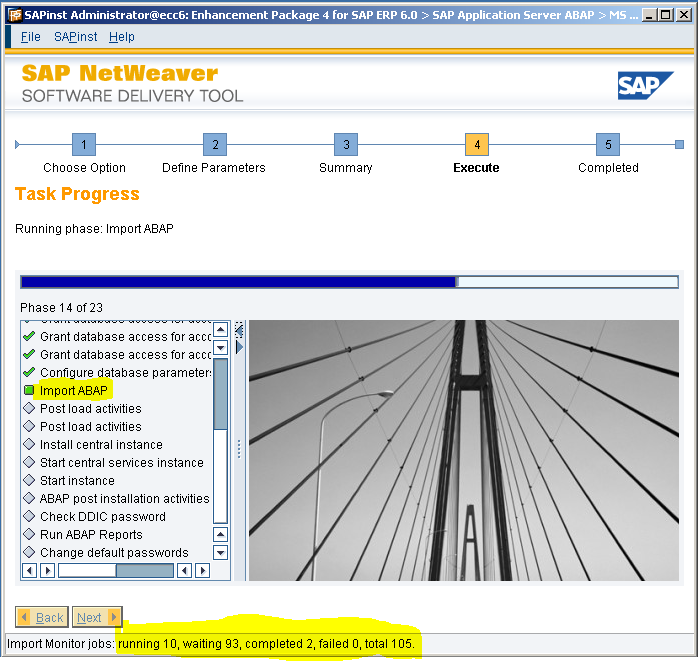 The installation works till ABAP import Step 92. The installation means the files 1.7-2.2 are missing. But in my Export folder 51037623_3 the files are included. Could anyone tell me the correct size of these files ? I estimate, my files have the wrong size (2MB-4MB). Could you kindly provide me a solution manager key for testing SAP IDES ? Can you please assist with a manager key? I’ll be using your setup for my testing system.